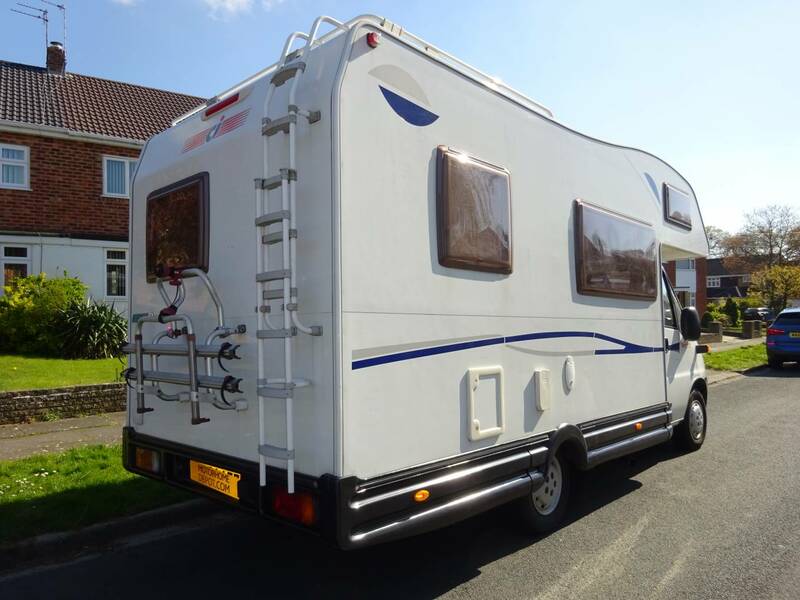 We present for sale this 2004 CI Carioca 625. 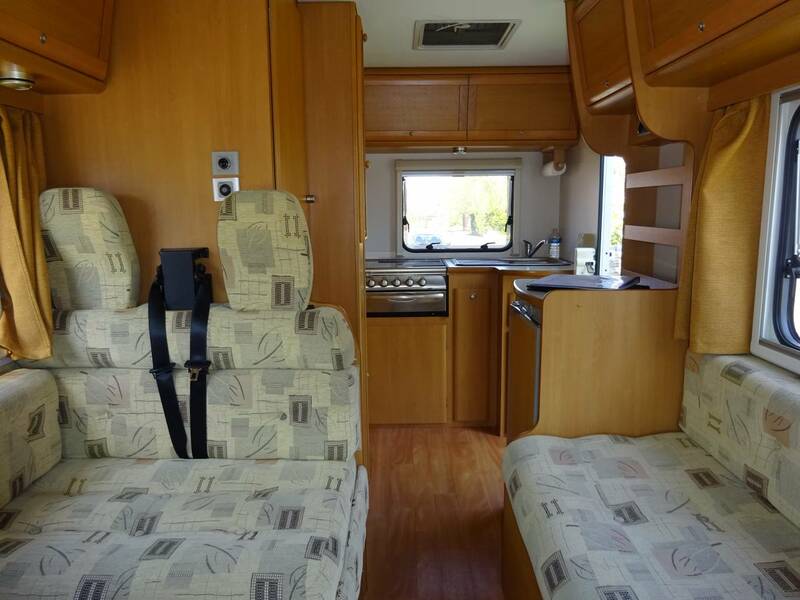 A 5 berth, 4 seat belt coachbuilt motorhome with the popular End Kitchen layout. 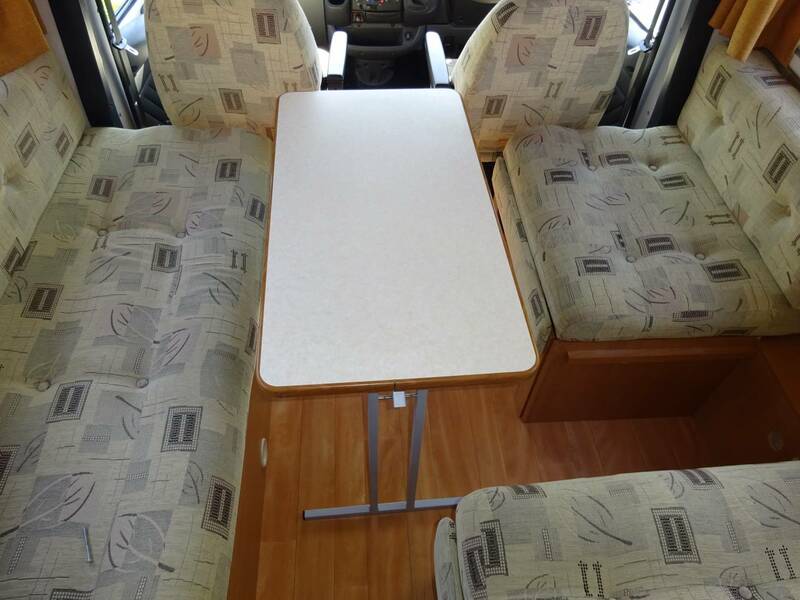 This motorhome is in beautiful clean condition inside with a great modern looking fabric. 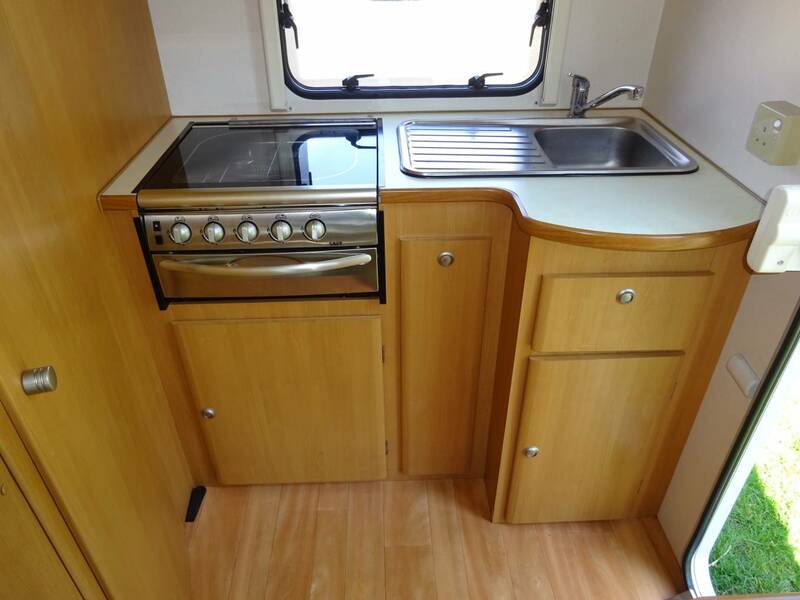 The kitchen is at the rear of the van and has sink with drainer and mixer tap. Hob with 4 gas burners and a gas grill. Plenty of storage space with cutlery drawer, slide out pantry and two large cupboards below with a further two cupboards above. The large Dometic 3-way fridge with freezer compartment keeps things cool. Then a Trumatic heating system works off gas or hook up. 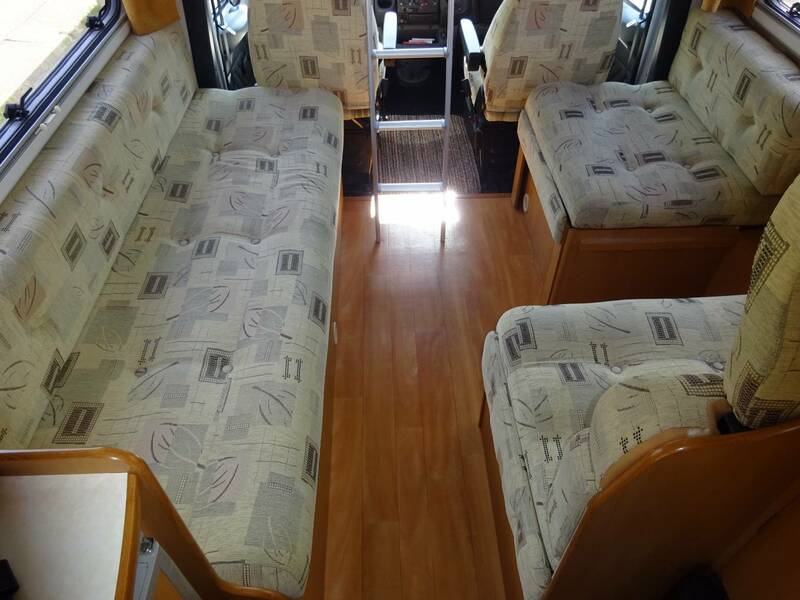 The 5 berths comprise of a side facing sofa or single bed. 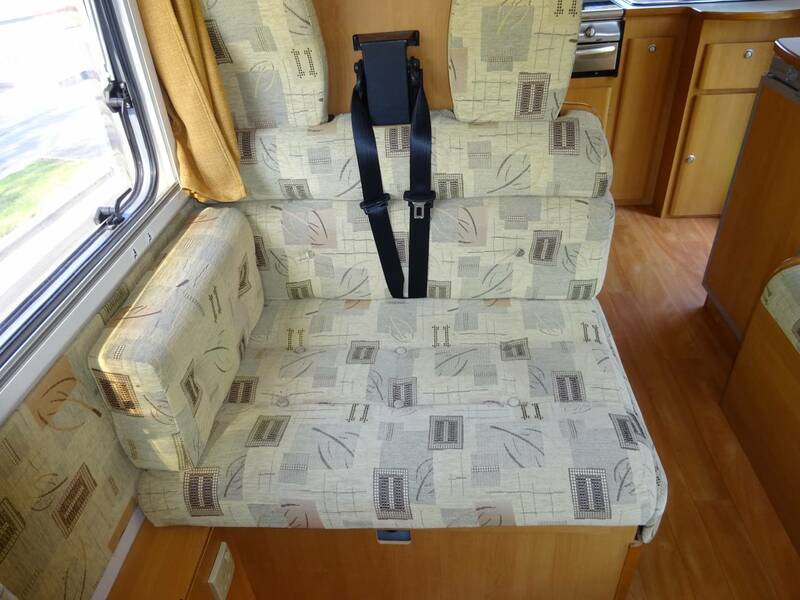 A double bed is made by pulling out the seat extensions and using a fill in panel and cushions. Alternatively, just make it up as another single bed to give two singles with a walkway inbetween. Then we have the over cab double bed, accessed by a ladder. A window on the side gives a feeling of space. The dining table is free standing so can be used inside or out. 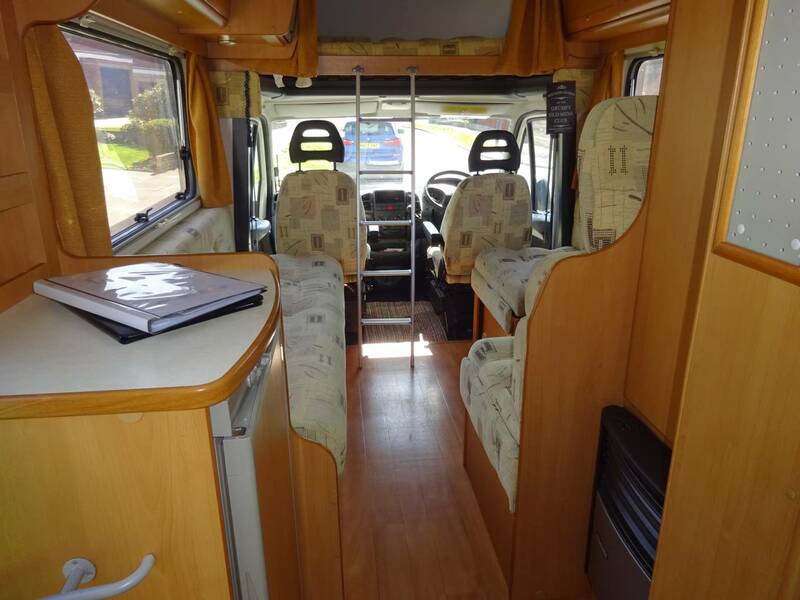 The two front seats swivel around to provide a nice space for socialising. 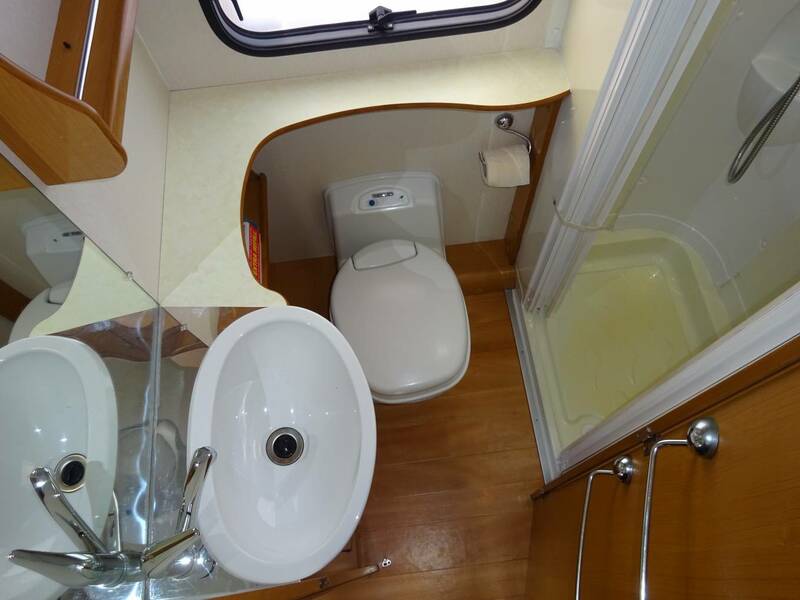 The washroom is large with a separate shower and folding doors to keep splashes off the rest of the space in which we have a Thetford toilet and a fixed hand basin. Plenty of storage space with a mix of open shelves and useful cupboards. A large window and vanity mirror make it feel very bright. Outside we have a 2-bicycle rack and an Awning. Thermal screen included. 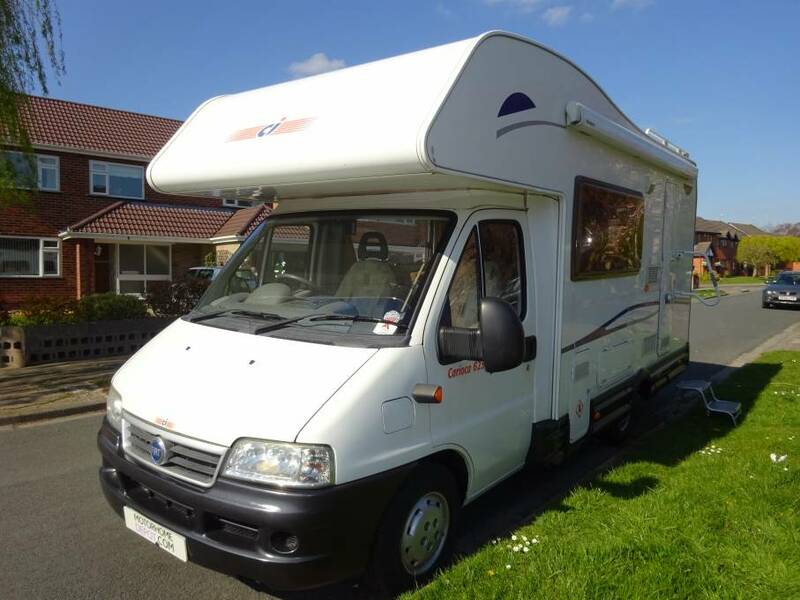 Based on the Fiat Ducato with the 2.0 JTD engine the gearbox is a 5 speed manual. The current owner bought the vehicle in Feb 2014 and has had a service done each July in the past 5 years. Prior to that the van had a further 5 services plus a cam belt change at 27744 miles. Please contact Ian on 0151 542 5028 for more information or to request the extended photo-file.